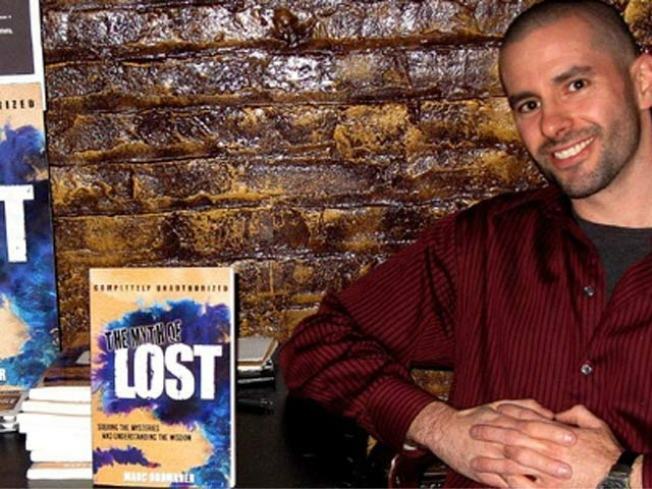 Author Marc Oromaner hosts "The Philosophy of 'Lost'" tonight. DOWN THE HATCH: “Lost”’s crazypants journey comes to an end Sunday night with the series finale. Gear up to wrap up with an evening of highbrow-lowbrow infotainment as Marc Oromaner, author of “The Myth of Lost,” comes to 49 Grove to lead an evening on The Philosophy of “Lost.” In between rounds of chin-stroking thinkytalk about what the island’s chicanery all means, swig specially-concocted themey cocktails and generally vibe with fellow Hatchheads. 6PM. PACE YOURSELF: What are the proper ingredients for a good pub crawl? 1) A high bar-density quotient neighborhood (like Park Slope). 2) Someone in charge (like master sudsman Jon Bexon, who brewed Old Speckled Hen). 3) Venues mapped out well in advance (like The Gate, Chip Shop, 4th Avenue Pub and so on). 4) A day off the next morning (like Saturday). The Old Speckled Hen Pub Crawl starts tonight at the Gate at 6PM. WASTED ON THE YOUNG: With 9-year-olds taking sartorial cues from Lady Gaga, the youth-fetishization themes of “Logan’s Run” are especially troubling these days (or maybe just to us). Michael Anderson’s 1976 cult classic—in which age 30 is the end of the road—comes to the Rubin Museum’s Cabaret Cinema series, intro’ed by the acerbically witty Cintra Wilson. 9:30PM.